by Tom Spanbauer | Literature & Fiction | This book has not been rated. I rarely buy new books these days. This one is an exception. I am curious about it. 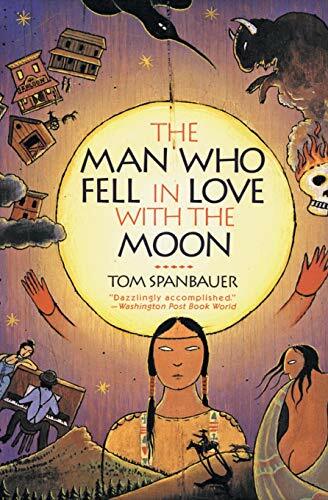 I was intrigued by a description of this book, which stated something about the main character trying to find his Indian heritage. I must say I was a bit disappointed. There seems to be little or no Indian culture, heritage or other interesting morsels in this story. What I did find was some everyday cruelty, alcohol abuse, bigotry, racism, and a bunch of lost people, assoicated with life in the old West, at the turn of the 19th century. Sure, there was love, a sense of family, and beautiful experiences of the natural world. But I guess my opinion was biased, beacuse I get suspicious whenever a white person wants to take an Indian view in his book. Hell, the whites have tried to take away Indian land, dignity, livelyhood, children, wisdom, so please leave the writing from an Indian point of view to the Indians. The cruelty was described so vividly and graphically I actually skipped one scene, as if I was watching a horror movie and escaped to the kitchen at the bloody scenes. This was interesting, it has never happened before when reading an actual book. The sexual scenes I found beautiful, especially the homosexual ones. I haven't read that much about homosexual love. All in all, this book may travel on.